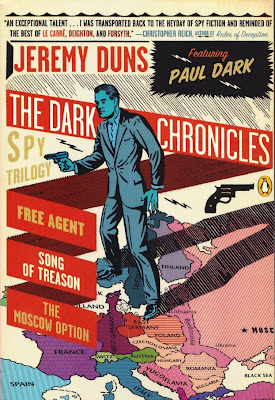 Our next guest is Jeremy Duns, author of the successful Paul Dark trilogy of spy thrillers. He has also contributed as a journalist to The Times, The Sunday Times, The Sunday Telegraph, The Guardian,The Independent, Time Out, Mojo and other major publications. Jeremy represents a different kind of collector in this series. Although many of us write fiction and non-fiction inspired by Ian Fleming and other heroes, Jeremy's boyhood love of reading is at the heart of what he seeks as an adult. His passion as a journalist and researcher has sent him on rather collector-like adventures to hunt down rare information and materials. Obscure articles and journalism by Ian Fleming- not first edition books- are his holy grails. 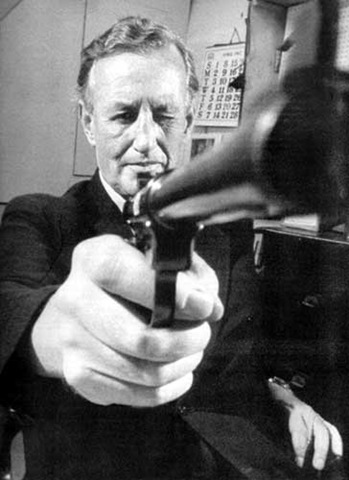 Many of us grew up on spy thrillers by Ian Fleming and other writers. At what age did you start reading spy stories? What books did you seek out and what was it about them that captivated you? It’s nice of you to ask me questions about this, Jason, because although I have a very large collection of thrillers I’ve never been a book collector in the traditional sense, looking for first editions or that sort of thing. 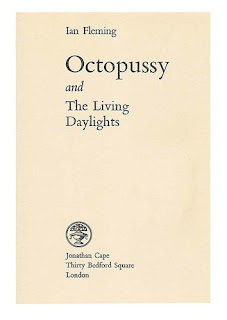 I am fascinated by book design and love a lot of jacket artwork from the Sixties in particular. I like scrolling through collector Nick Jones’ Beautiful British Book Jacket Design of the 1950s and 1960s gallery, for example, but most of the thrillers I own are primarily for reading purposes, and are usually just dusty paperbacks I’ve found going cheap trawling second-hand bookshops. I was a fan of the Bond films as a kid, like most English boys perhaps, and I think I was 14 when I received a copy of a John Gardner Bond novel for my birthday. I came to Ian Fleming’s writing a lot later, having initially bought into all that claptrap about Bond being a psychopathic imperialist misogynist, but several years ago I read the whole series and realized I’d gone into the few I’d read previously with entirely the wrong frame of mind. Fleming’s novels are largely meant to be fun adventure stories, and if you approach them from that angle rather than comparing him to John le Carré or other writers he has little in common with, they are much more rewarding. That said, I think some of his work does have a different complexion. The Living Daylights is a rather bleak pre-Berlin Wall story, for example. I think there’s a lot of snobbery about Fleming, especially in Britain, and it stems largely from the fact that the films have been so successful for so long – nothing that popular, some people think, can be any good. It’s such a prevalent view that it’s easy to get sucked into it. I often find the people who are most vocal about Fleming’s weaknesses have read very little of his work. What captivated me about the books was Fleming’s prose style, which is extremely vivid and often packed with fascinating information. 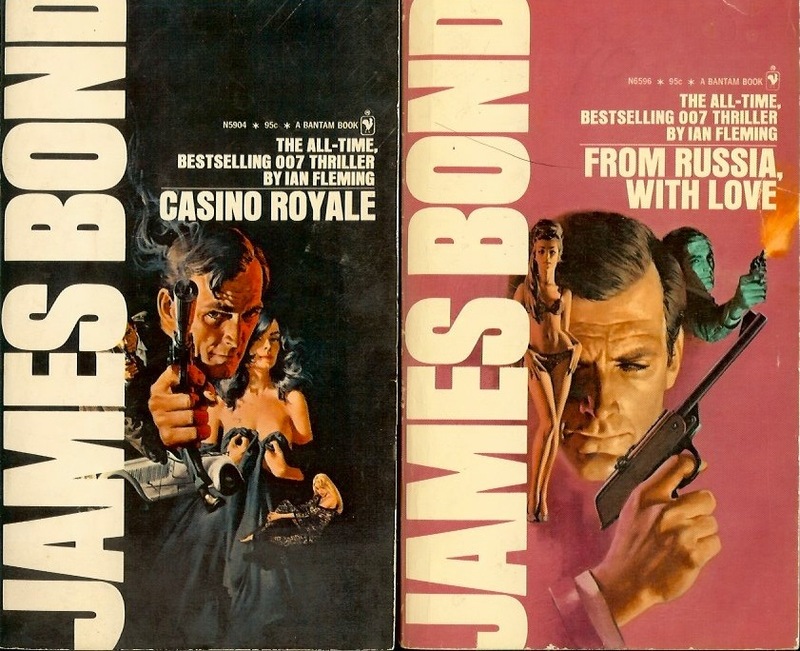 I think the Bond books have also been much more influential than generally considered. They’ve certainly been a major inspiration for my own spy novels. It’s often been commented on that Frederick Forsyth writes thrillers as though they are journalistic investigations, but if you read, for example, the account of S.P.E.C.T.R.E.’s meeting in Thunderball, you’ll see very much the same tone as Forsyth used in The Day of The Jackal, and which has been used in hundreds of thrillers since Fleming. Do you have favorite 007 cover designs? Richard Chopping and Raymond Hawkey’s are great, but I also love those ones done for Bantam in the US in the late Sixties and early Seventies. Bond looks very cruel in those, even more than he is in the books, but that set is just stunning. Peter Lorenz’s excellent site Illustrated 007 tells me that Frank McCarthy was the artist. I think the Bond covers have also been extraordinarily influential on the genre, incidentally – I’ve got lots of thrillers that follow the Chopping still-life model, for example, and they immediately signal danger and excitement. Do you have a book or two in your collection that you prize above all others? I don’t think I have any particularly rare Bond books, but I have a few unusual bits and pieces, from the Sixties in particular. So I have copies of film scripts for The Diamond Smugglers and Casino Royale from then, as well as a few draft pages of the lost Bond novel Per Fine Ounce by Geoffrey Jenkins (the originals of all of these are in museums). I have a book on SMERSH I think Fleming used when researching Casino Royale, copies of some of Kingsley Amis’ papers about Fleming, and several books and magazines that have essays either by Fleming or about him, such as The London Magazine, The Twentieth Century and Encounter, Cyril Connolly's journalism, Seven Deadly Sins, The Kemsley Manual for Journalism - that sort of thing. I also love Fleming's descriptions and details. Do you detect a similar tone of voice in his journalism? Yes, there's often that mischievous feel to his journalism, like a wicked uncle telling you a story, especially in the Atticus columns and Thrilling Cities. Fleming had an eye for the telling detail, and his novels are packed with factual information he had discovered for articles or via journalistic contacts. 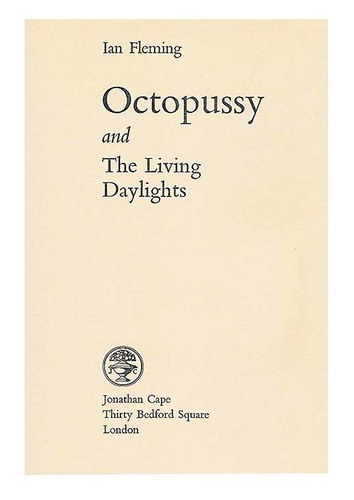 His prose was very varied as a result, I think, because there's material about so many topics from so many sources. In researching the attempts to film The Diamond Smugglers, I was fascinated to read the original manuscript of the book by John Collard, who Fleming transformed into John Blaize when he got his hands on it. I'd previously presumed that Fleming had heightened some of Collard's material to make incidents more exciting, but he didn't, really. A surprising amount of the original manuscript made it into the finished book untouched, but it was nevertheless a judicious editing job, with a few relatively simple changes making an enormous difference to readability. 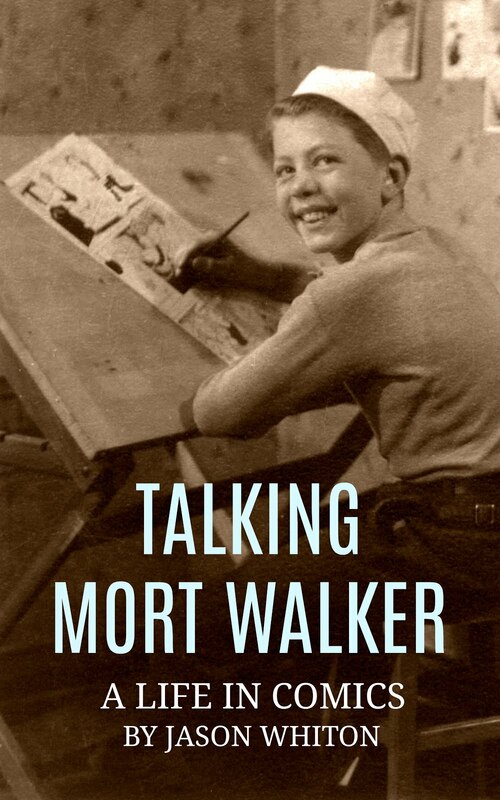 He did the very clever thing of reframing some of the book as himself going out to Tangier to find Collard and interview him. This allowed him to break up a lot of the exposition and made the book into more of a quest, a device John Pearson later used for his fictional biography of Bond. But it was a literary device rather than a journalistic one. Almost everything Collard says in the interview segments with Fleming were in Collard's original manuscript, which Fleming had already read back in his office in London. I've no doubt he met and interviewed Collard, but the way it is presented in the book is not a wholly faithful portrait of their meetings but rather a way to enliven the existing material. I think Fleming had long been a would-be novelist working as a journalist, and when he finally turned to writing fiction he used a lot of the techniques he had learned as a journalist to provide a coating of authenticity and authority. But I feel he was much more naturally suited to fiction than journalism. Is there a Fleming story that you find yourself reading again and again more than others? What are you collecting now? What are the holy grails you still search for? Well, it would be wonderful to find the rest of Per Fine Ounce, of course, but I’m not looking for it. I looked about as extensively as I could, I think. I’m interested in a report that Fleming himself wrote a screenplay of Casino Royale, and in fact there’s a lot of material about Casino Royale that hasn’t really been looked at, so perhaps at some point I’ll do that. I’ve written rather a lot about Ben Hecht’s drafts that I haven’t yet published. Fleming also apparently wrote scripts or treatments for Moonraker and The Diamond Smugglers, which have never come to light, and they would obviously be fascinating to read. I would love to have a complete collection of Fleming’s journalism one day. I subscribe to The Times’ archive, which is superb, but The Sunday Times’ archive is only available to institutions, which I think is a great shame: the Atticus columns alone would, I suspect, offer a lot of insight into Fleming’s work, and could significantly change scholarship about it. 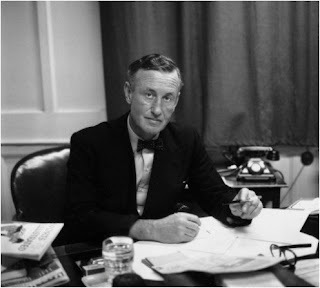 Perhaps Jon Gilbert’s book, Ian Fleming: The Bibliography, will illuminate some of these issues. I’d quite like to have that Bulgarian 07 novel by Andrei Gulyashki, but copies of that trend to be very expensive. And perhaps I’ll buy that Bantam set, but other than that, I think I’m pretty satisfied! Thanks again to Jeremy for joining us and sharing his love of Ian Fleming's work. 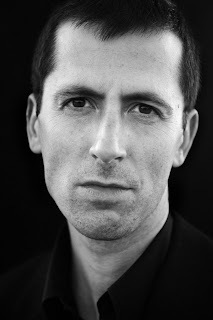 For more information about Jeremy Duns, please visit his blog website. He has written an extensive series called 007 In-Depth. A fun starting point is Bloods Line, which references the The London Magazine above -and you can search the blog for additional entries. 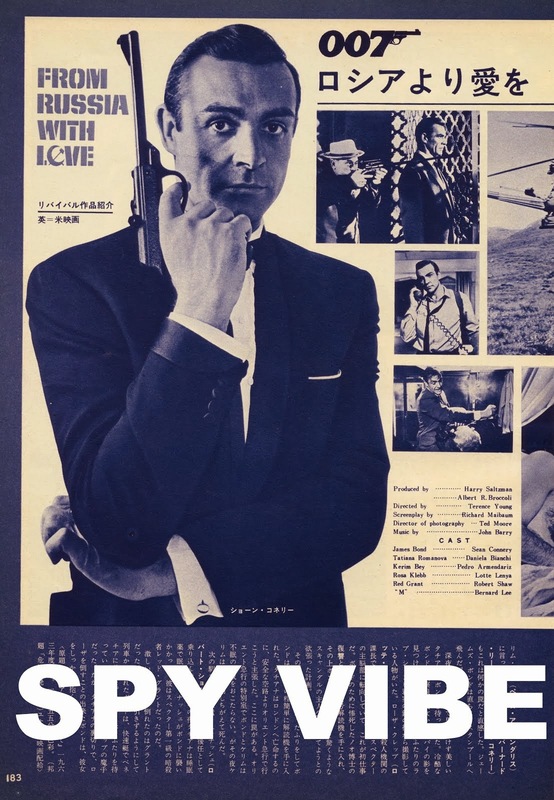 You can find Jeremy's books and other spy treasures in Spy Vibe's secure Amazon Store. Stay tuned for another edition of For Your Shelf Only. Series links: Jon Gilbert, Raymond Benson, Jeremy Duns, Peter Lorenz, David Foster, Rob Mallows, Roger Langley, Craig Arthur, Fleming Short, Matt Sherman. 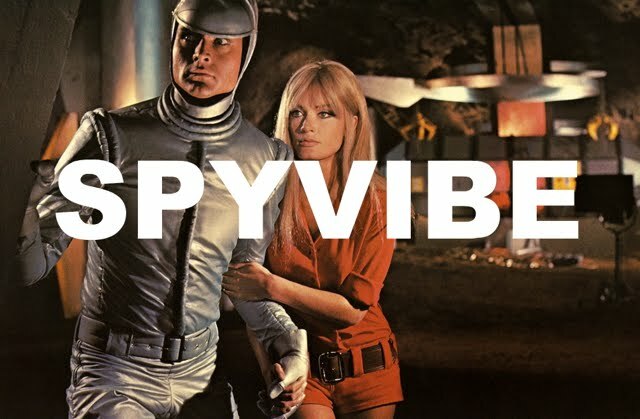 Check out Spy Vibe's classic 2009 article, Set For Adventure, where we joined forces with Lee Pfeiffer, Jeremy Duns, Stephen Bissette, and others to look at the best set designs from spy entertainment. More about Spy Vibe creator Agent J at Jason Whiton.